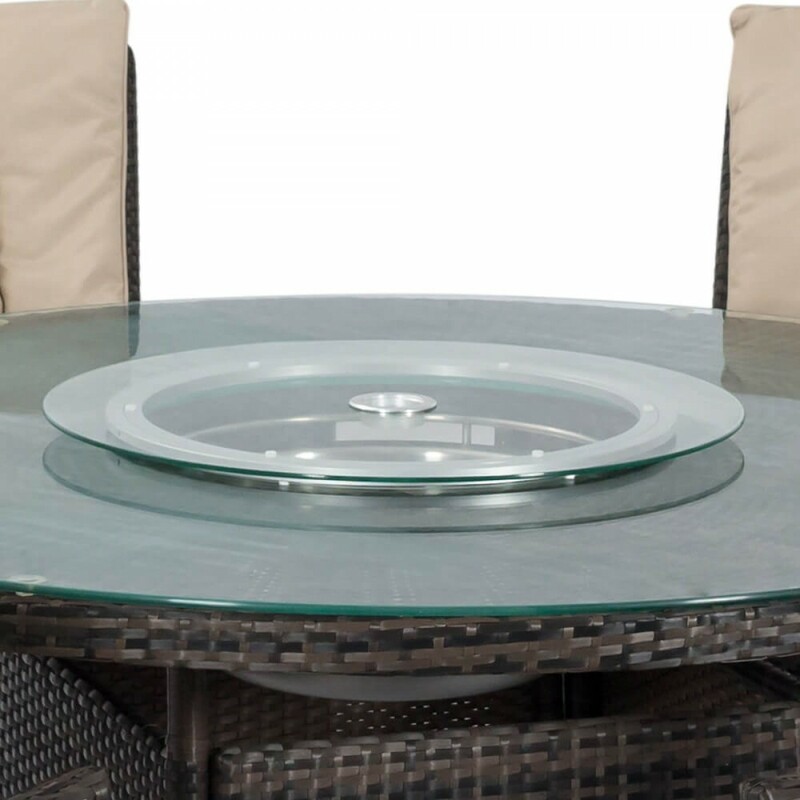 NEW FOR 2018: This Rattan Set now also features a Lazy Susan than fits on top of the Ice Bucket! 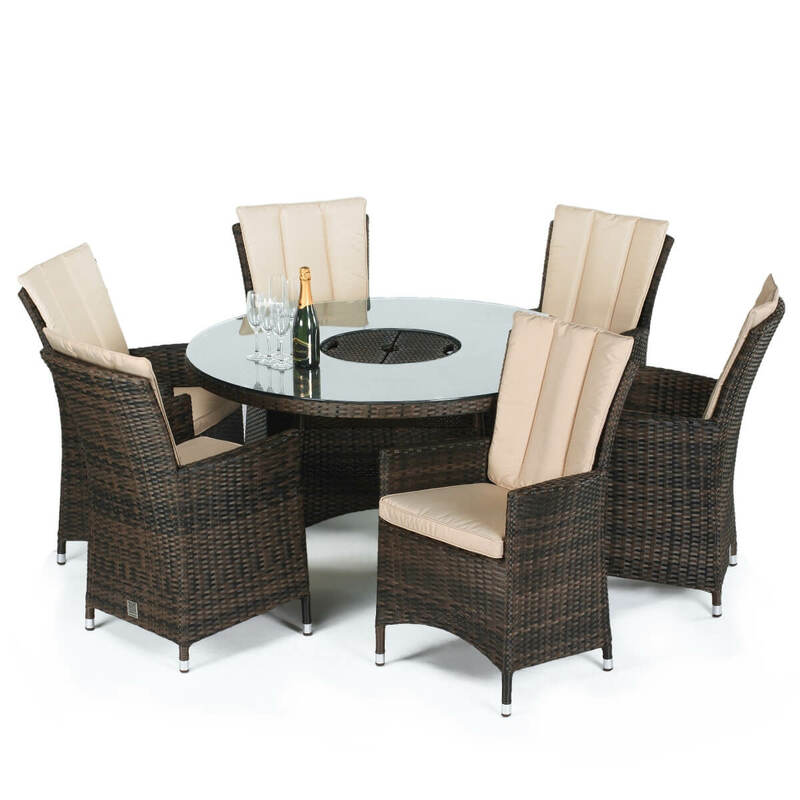 Why Choose the LA 6 Seat Round Dining Set with Ice Bucket? The LA range is typified by its deep chairs and modern appearance. 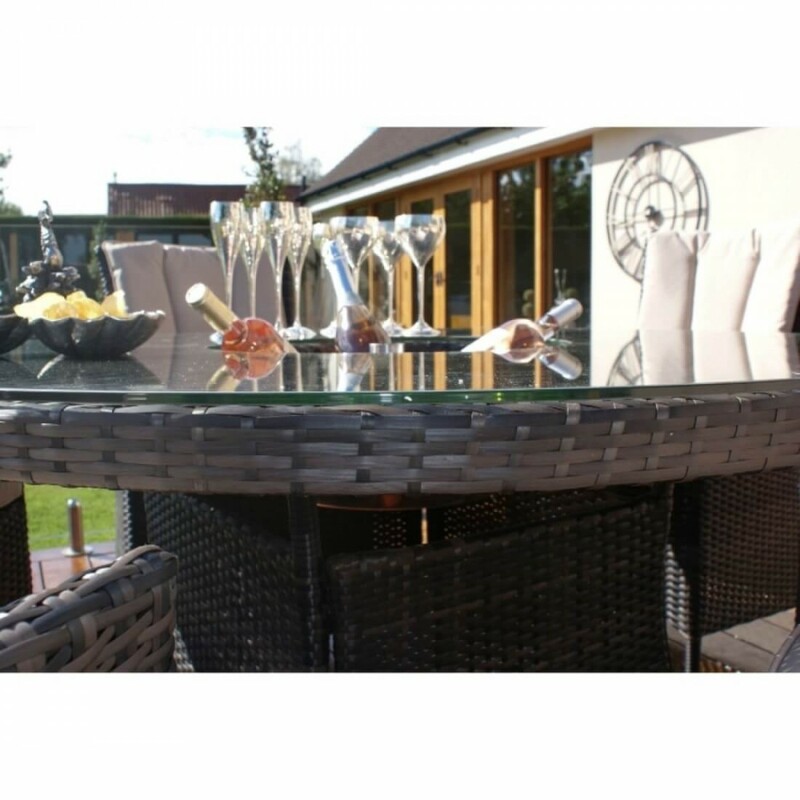 This set is the perfect place to relax with friends, and enjoy your garden. 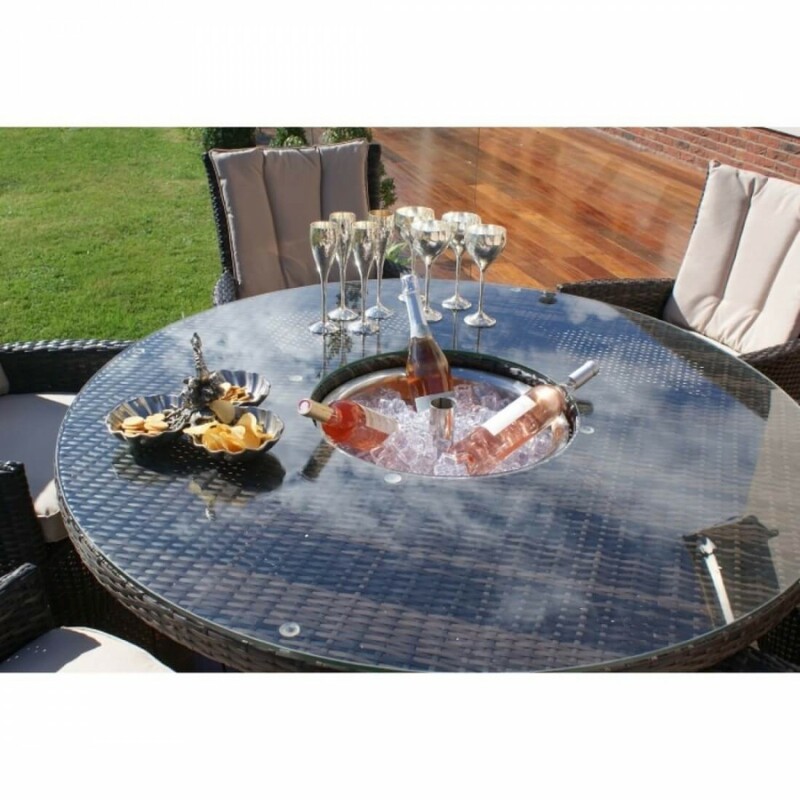 The modern design, comfortable cushions and NEW Luxury Ice Bucket will make this the perfect addition to your garden. 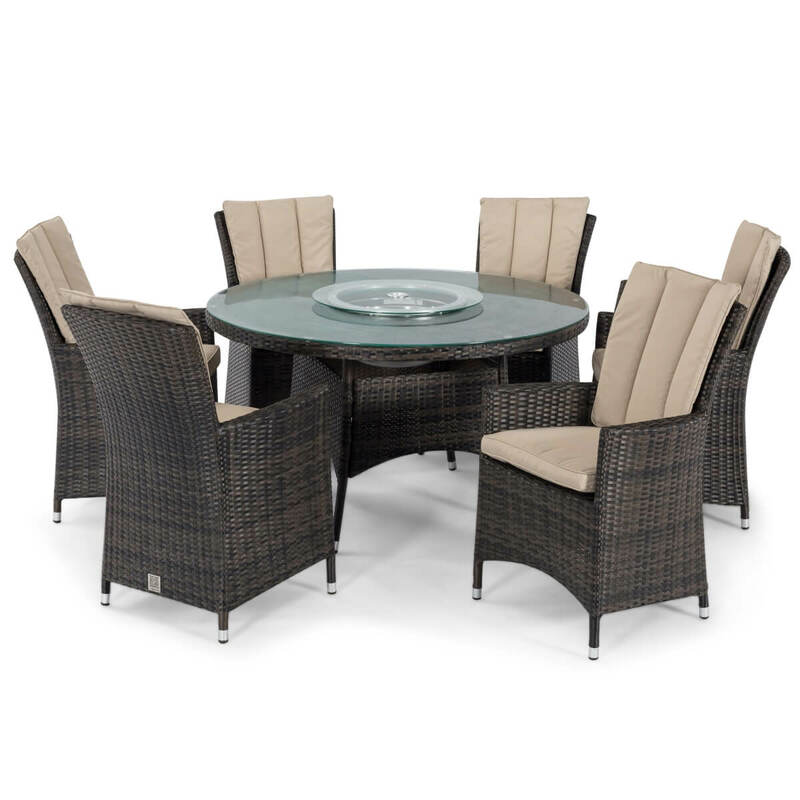 This rattan set contains six chairs, with cushions, and our modern circular table, topped with toughened glass . 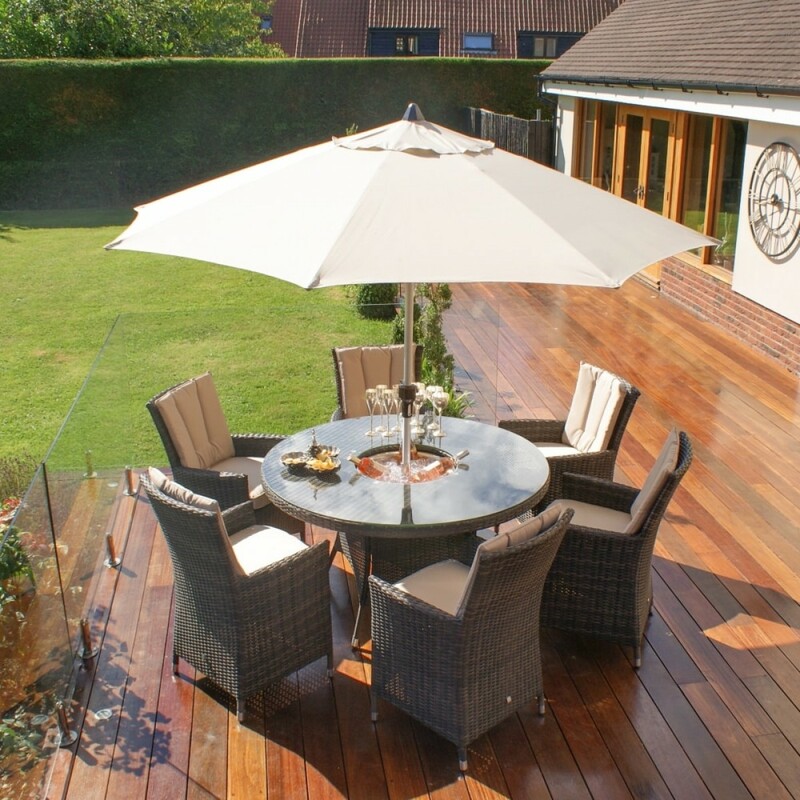 The smoother surface makes it perfect for the sharp, clean lines used in this design. 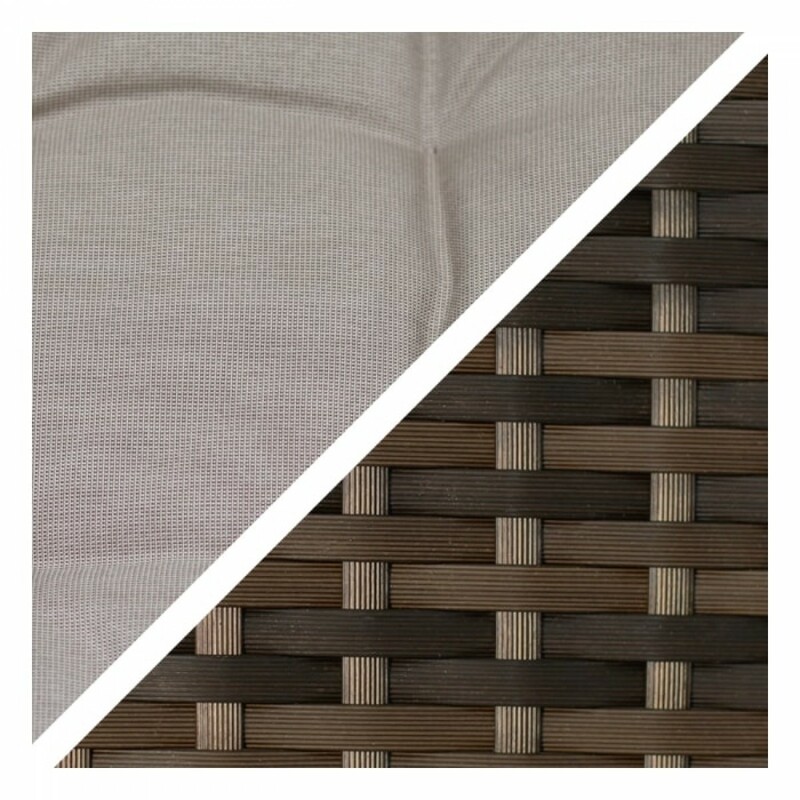 By mixing in darker tones the flat weave achieves a depth of natural colour, offset perfectly by the corresponding beige cushions. All our cushions come with removable zip covers that can be wiped clean, although it is recommended to store them inside overnight. 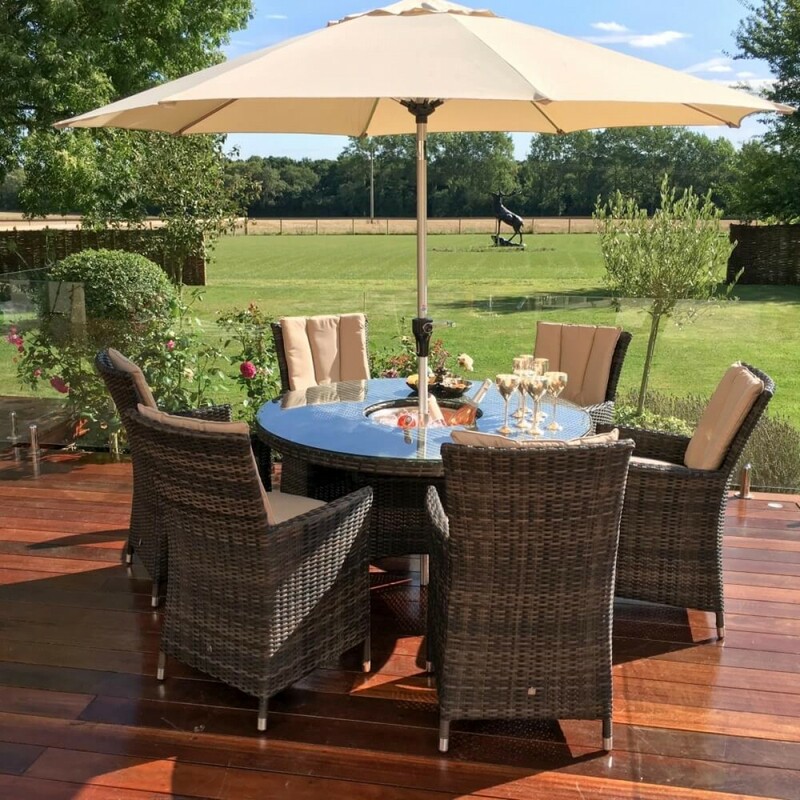 As with all Maze Rattan products, The LA Rattan Range is made from the highest quality material, woven onto a powder coated aluminium frame that ensures its use all year – even through the harshest weather.